When their lengths are added and divided to find the average the result is 28. 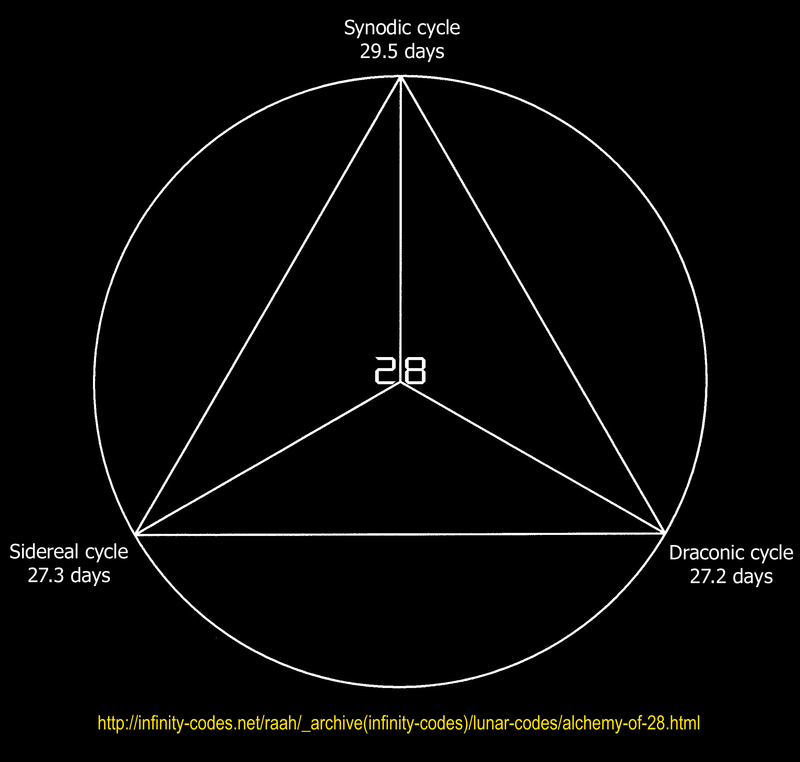 In my research this length of time is called a geometric month, as it an alchemy of lunar cycles within a tetrahedral geometry (see graphic below). 3 cycles added and divided by 3, to create the average, the 4th point of the tetrahedron.